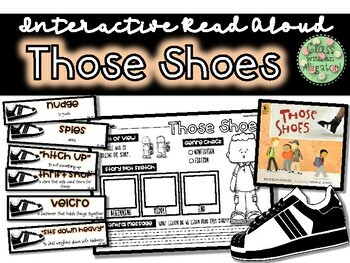 This product includes activities that can be used with Maribeth Boelts' book "Those Shoes." 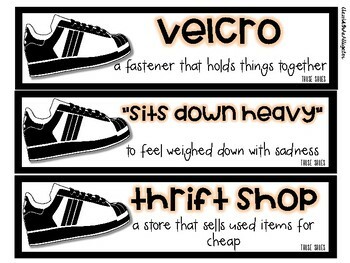 6 Vocabulary Words/Phrase Cards- These cards can be folded in half to hide the definitions. 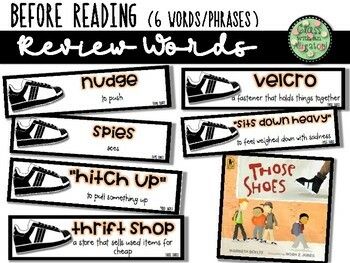 After reading the words within the text, students can use context clues to figure out the meanings. The words can then be opened to reveal the definitions. 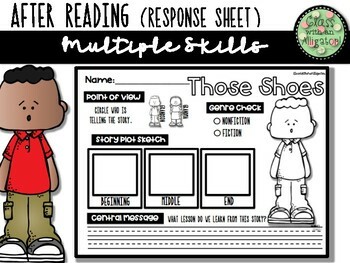 Multiple Skill Response Sheet- This sheet gives areas for students to depict the point of view, sketch the plot (beginning, middle, and end), choose the genre, and tell the central message of the story.